Consider for a moment your high school history teacher. In schools across the country, history teachers teach multiple classes with students at all different levels. One class might be filled with students who are ready to break down the information at a very high level. These students are capable of exploring difficult themes. Learning about the American Revolutionary War requires covering more than dates and names, and they will dive into motivations and outside influences. Another class might be at a more introductory level of history. Rather than covering motivations, they might need to learn more about the major people who influenced the events of the day and focus on learning the timeline. 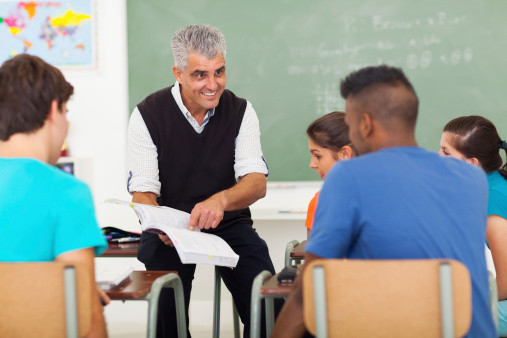 Both classes are covering the same topic, but if the teacher is going to effectively teach both groups, he or she will have to develop separate lesson plans for each class. If the teacher tried to create a common lesson plan for each group of students, neither group would receive the instruction they needed to succeed. It does require more work for the teacher to create separate lesson plans, but the teacher knows it's worth the effort. A teacher who keeps their eyes on the end goal -- to ensure that both classes walk away feeling challenged and with new knowledge about the founding of the United States -- will know their extra work helped them reach their students effectively. The same concept applies to marketers. It does take a little more work to create separate content for each of your buyer personas, but if you want to effectively reach your potential customers, you have to be willing to go that extra mile. Each of your customers comes to your site looking for different information. One customer might be concerned about finding an affordable solution to their problem. They feel as though they've spent too much money in the past, and their primary concern is budget. Another customer might focus primarily on utility. They trust that when they find a well-created solution to their problem, their return on investment will justify their cost. Each of these customers will respond better to different types of content and offers. Creating just one type of content will make it harder for you to reach all of your intended target audiences. It may have been less work upfront, but it will end up costing you more when you fail to bring in the profits and returns you had desired. In a world where time is money, it makes sense to avoid spending unnecessary time and money whenever possible. What you need to remember, though, is that while efficiency is important, it cannot replace doing something correctly. Sit down with your team, outline your buyer personas, and draft a plan for reaching each one. You'll be amazed at what these additional steps can do to help you close more business. If you're ready to start building a new marketing strategy, reach out and speak with us today. We'd be happy to help you get started. Do You Want to Drive James Bond's Car?